When budgeting demands cut back on life’s little extravagances, it’s a disappointing but acceptable change. Cutting things out of the budget, like home improvement projects, might seem reasonable in the short term, but it’s a bad decision in the long run. Taking on those projects might seem like an expensive proposition, but with smart solutions, like renting tools, taking proper care of your home is well within your budget. Your home is your largest investment and no matter how the housing market fluctuates, you don’t want to neglect maintenance and upkeep around the house. Taking the time to do projects will not only ensure the safety of your family, but it will also ensure your financial security for years to come. Investing energy and money into fixing little problems, like a crack in your home’s foundation, will prevent larger problems down the road. Simple projects to refresh the look of your home, like a fresh coat of paint or a little landscaping work, will not only make your home feel more warm and inviting, but it will also yield a large return on investment when it comes to resale value. The “green” movement might offer ideas for other projects. By making your home more energy efficient, you can reduce bills and add value for the future, should you want to put your home on the market. Although many home improvement projects can be simple, they often require tools that most people don’t commonly have. This is when it makes sense to visit your local rental store www.Rentalex.com. Since you will most likely only need the tools or equipment once, renting is a more cost-effective solution than buying new or hiring a handyman. 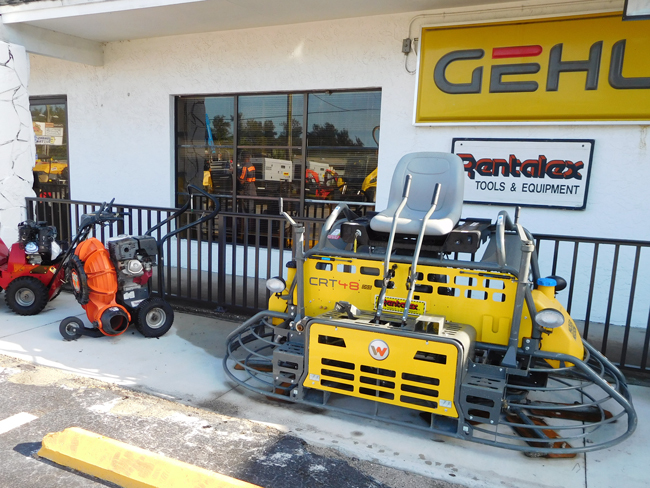 Stocked with pressure washers to clean off your siding or deck, jackhammers to tear out an uneven front walk and concrete polishers to give your garage floor a new finish, your nearby rental store is like the ultimate workshop — filled with professional grade tools, see our fleet here: Rentalex Rental Equipment. Your local rental professionals will make sure you get the right tools for your job, and they will teach you how to properly use the equipment you need. Avoid spending time and money running all over town to find the tools you need — make one stop at your local rental store. Rentalex is a rental store located in the Tampa Bay area ready to help you. Our rental representatives can provide how-to tips and help you find the perfect tool to help you complete your project. Visit our Tampa store at 1028 Skipper Road, in Tampa,FL 33613. Don’t let your biggest investment become your biggest burden — maximize your investment while cutting your costs with rental.